"I had one sister. My sister was born in China and due to the fact that we couldn't afford to pay the $500 head tax, she had to remain in China." "I mean, if you looked at our village, our ancestral village, that foresight [to come to Canada], it was our ticket out of poverty ... This was always the plan, the grand scheme." "In those days, the Chinese pretty well cannot work for any white people. They won't take you." "When he came back (from the war) they said to him, 'Well, you're Chinese, you can't be an engineer. He said, 'I want to go to university, as promised, you know you served in the forces, you're supposed to get an education out of it' ... So it ended up, three brothers who went overseas, ended up being tailors." "Oh yeah, they treated me good. You know something? They all say 'petit chinois' and they admire you for being up with the big guys. And they treat you good. At that time I didn't understand that much French, but I know they used to call me 'chinois' and 'petit chinois' and I know what that meant." Canada has always been a land of opportunity for immigrants. First with the Fraser Valley gold rush of the late 1850s, then with the building of the Canadian Pacific Railway in the early 1880s, and after that, the building of Canada as a country, Chinese came, offering their blood, sweat and tears in return for the promise of a better life. 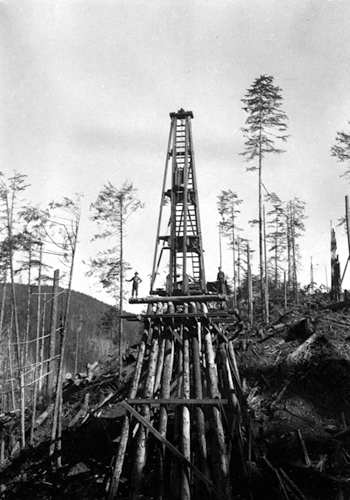 Opportunities in Gold Mountain remained plentiful after the railway. Railroad companies continued to hire workers as they expanded operations across the country. The head tax, however, placed an unfair burden on Chinese to participate in Canada�s economic growth, when compared with other immigrants. "Unfamiliar with the conditions in Canada, having come from a land where unskilled labour earns from 5 to 10 cents per day, and skilled about double, and at most treble, that amount, a wage of $20 to $40 [per] month to a labourer and a wage of $10 to $30 to a servant, appeared to afford the opportunity of saving, within the course of a few years, that fortune which the Chinese immigrant came to this country to seek." What the government could not - or did not want - to provide was encouragement for the railroad workers to reunite with loved ones, and to bring over their families to settle in Canada. After the railway, many Chinese chose to stay in Canada. Some could not afford to return to China, while others had saved enough money to start their own families. Some Chinese dared to think that they could reunite with their loved ones in Gold Mountain. After the railroad, the Chinese men who stayed on in Canada sought other opportunities to earn their living. Despite the head tax, many young Chinese men also started families here or tried to reunite with wives, sons and daughters they had left behind in China. Some were successful; others were not. Participants in the Ties that Bind project have in common family stories of sacrifice, separation, perseverance and a deep respect for their ancestors who chose to make Canada their home. Sometimes the reasons for a father, grandfather or great grandfather to pull up stakes in China and start fresh in a new country are unknown; though the consequences of those decisions are apparent in their families' circumstances today. Interviewee David Chu talks about his family's "grand scheme," first conceived by male heirs four generations before him to endure whatever hardship to start a new life in Canada. Cindy Leong's great grandfather Willy Nipp came to Canada from China in 1881 and he never looked back. Brian Joe's family had roots in Canada long before the imposition of the head tax and Exclusion Act. Chinese worked together, through clan associations, the Chinese Benevolent Association and family and village connections, to overcome the obstacle of the head tax, and even the Exclusion Act - to reunite their families over great distances and through the generations. The cost of these decisions was entire lives. Interviewee Landy Ing-Anderson speaks about her grandfather Ralph Lun Kee Lee's lifelong commitment to paying off the debt to his ancestral village, which sponsored his journey to Canada in 1912. "Right up to the time my grandfather passed away, he was still sending money back," says Landy. Some early Chinese kept families in China and in Canada, after being separated by the Exclusion Act. Judi Michelle Young's father raised three families, while Ron Lee's grandfather, Lee Duck, had four wives, though only one in Canada. 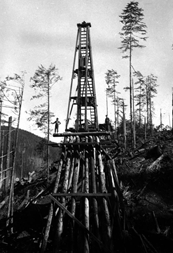 Extended families were the norm for the "Gold Mountain men." After the railroad, the Chinese who stayed in Canada worked harder to support their families. Many relied on unconventional means to ensure their lineage, adopting sons and other family members and trading identity papers to bring relatives to Canada. Interviewee Kwoi Gin talks about his father's identity as a "paper son." The completion of the main line of the Canadian Pacific Railway at Craigellachie, B.C., on November 7, 1885, was not the end of Chinese participation in building Canada. 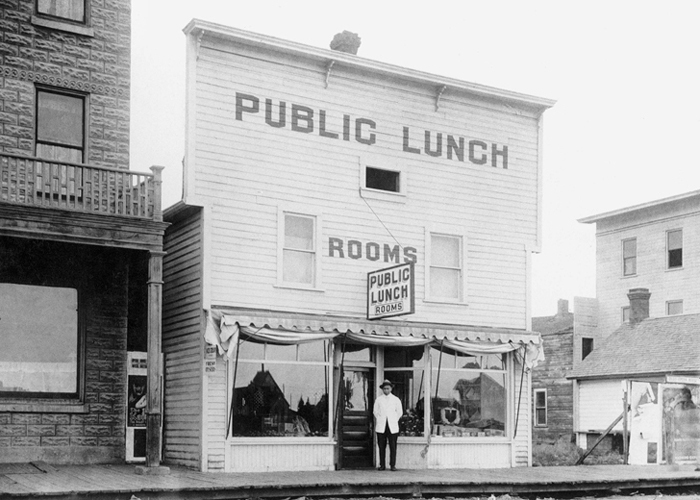 As it expanded its network throughout the country, the CPR remained a large employer of Chinese workers who stayed after 1885, as well as for those who migrated to Canada until the Exclusion Act was imposed. "He used to motion about cutting the railroad ties," Ties that Bind interviewee Landy Ing-Anderson recalls about her late grandfather, Ralph Lung Kee Lee, who got a job with the CPR in 1917 in Thunder Bay. "He talked a little bit about that, on how he was treated like a dog, and how he had to work from sun up to sundown." Interviewee Ron Lee's grandfather, the late Lee Duck, left China in 1905 and landed his first job as a "grease monkey," oiling the undercarriage of a steam locomotive on journeys from Vancouver; Lee Duck later opened a dry-cleaning business in Lethbridge, Alberta. Larry Kwong, who became the first Asian professional ice hockey player, says his father prospected for gold. Chinese provided their labour under contract in many of Canada's early industries, including mining, lumber cutting and fishing and canning factories. 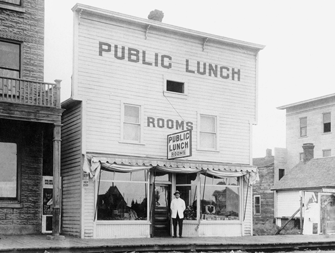 They also did domestic work in Victoria, Vancouver and other cities. Some opened their own small businesses. Entrepreneurship was attractive to many Chinese who saw it as a way to avoid discrimination and to have more control over their lives. Trading companies, laundries, restaurants, cafes and gardening were popular choices for Chinese entrepreneurs. Employment in the professions, because of continued discrimination, was nearly impossible for Chinese Canadians until after World War II. 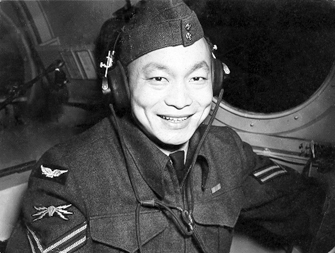 Citizenship in Canada was a tricky business for Chinese until after World War II. The Chinese Exclusion Act, and other discriminatory provincial and federal policies, effectively barred most Chinese from obtaining full rights as citizens until 1947, when the Act was repealed. Still, some Chinese, like Ties that Bind interviewee Judi Michelle Young's father, Yong Hong Yan, were naturalized, though this provided no guarantee against discrimination. Unlike today, many first-generation, Canadian-born Chinese were not accorded citizenship as a birthright. Many held birth certificates that clearly identified them as a "British subject, not a Canadian citizen." The injustice of the Exclusion Act was challenged by young, Canadian-born Chinese men and women, who volunteered for duty when Canada entered World War II. However, they were denied active service after the premiers of British Columbia and Saskatchewan successfully lobbied Ottawa not to allow them to participate in the war. They feared it would allow Chinese to demand full citizenship rights - including winning back the right to vote. Late in the war, Chinese Canadians were mobilized, with as many as 800 young men and women serving in all branches of the military and in all theatres of war. Bevan Jangze, father of Ties that Bind interviewee Kevan Jangze, served with British special forces and trained as a radio operator for clandestine missions behind enemy lines in Burma. Interviewee Brian Joe's father, Walter Joe, was at first refused when he tried to enlist in the Royal Canadian Air Force, but was later accepted, and he served from 1942 to 1945 as an airborne wireless operator. Interviewee Ron Lee's uncle, Jack Lee, ran away from home in Lethbridge, Alberta, at age 16 and signed up with the Regina Rifles, fighting through Belgium, Holland, Normandy and Germany. 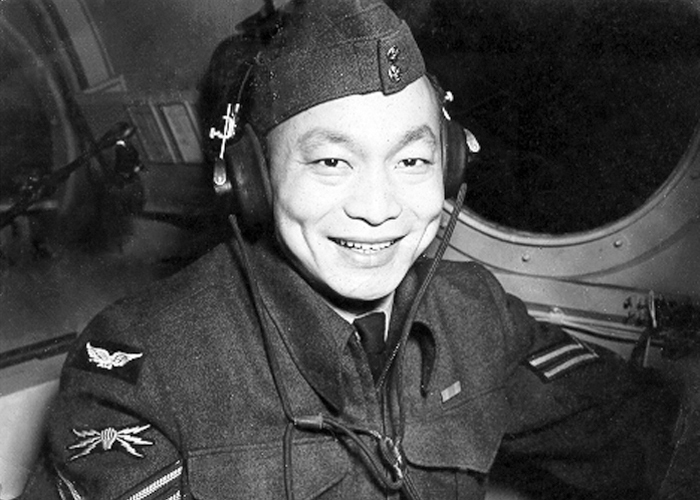 After the war, many Chinese Canadian veterans banded together to fight for their rights as Canadian citizens. The Chinese Exclusion Act was repealed in 1947. After the railroad, emigration from China to Gold Mountain continued. Canada, even with its head tax, became the primary destination after the United States enacted its own Chinese Exclusion Act that barred all Chinese immigration to that country from 1882. In 1901, more than 85 per cent of Chinese living in Canada resided in British Columbia, where they comprised just over 8 per cent of the provincial population, according to historic Census of Canada figures. By 1921, however, 40 per cent of the Chinese living in Canada had moved east of the Rocky Mountains. By 1941, half lived on the West Coast with the balance dispersed throughout the country. The provinces were not equally tolerant of the Chinese presence and discrimination followed. Still, Chinese continued to settle across the Prairies, central Canada and the Maritimes, more often than not, following relatives and friends. Alexandria Sham's father gave up a future at her grandfather�s tailor shop in Vancouver, moving to Port Alberni to work in the lumber mills, then making his way to Quebec and Ontario, where he worked for General Motors in Oshawa, before raising his own family in Saskatoon. Dealing with a long family separation, Kwoi Gin and his parents settled in Toronto, after following his great grandfather to Canada. Jim Pon was able to quit the restaurant business, get an education and move to Ontario, where he worked for De Havilland Aircraft during the war, and later as an engineer for Atomic Energy of Canada Ltd. Landy Ing-Anderson's grandfather started working for the railway in Fort William, now Thunder Bay, and eventually settled and raised his family in Windsor, Ont. David Chu�s grandfather followed three generations of his family before him to Canada to work on the railroad and eventually settled in Toronto. 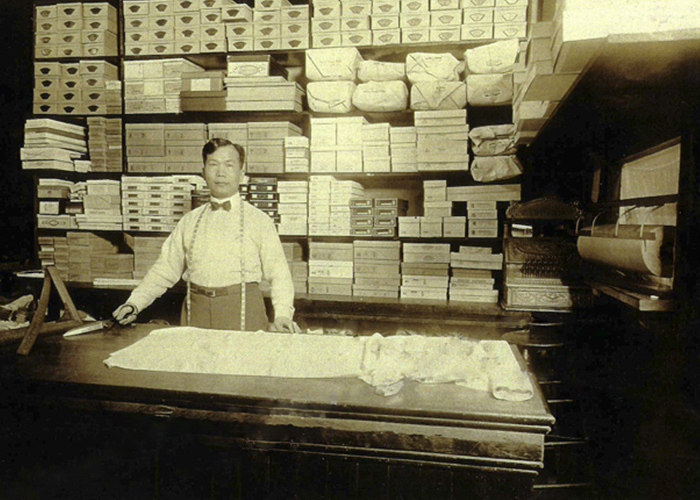 The Chu family ran laundries in Toronto and in Espanola, Ont., where David was born. Judi Michelle Young's father landed work as a translator with the railway after the mainline of the CPR was finished. He was based in Mission, B.C., but later moved east to Montreal with his second family, which ran a fruit and vegetable store. After going back to China and returning again to Canada, he raised his third family in Toronto. 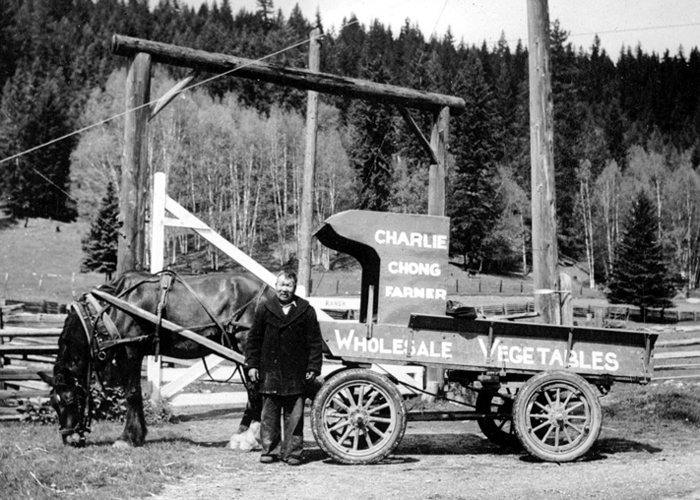 Larry Kwong's father prospected for gold near Cherry Creek, B.C., during the building of the railroad, and then opened a family-run general store in Vernon, B.C. While his brothers and sisters moved away from home to work for other Chinese businesses in small towns in the B.C. Interior and in Calgary, Larry followed a different path: becoming the first Asian Canadian to play professional hockey in North America. His sports career took him to New York, Quebec and overseas to England and Switzerland. 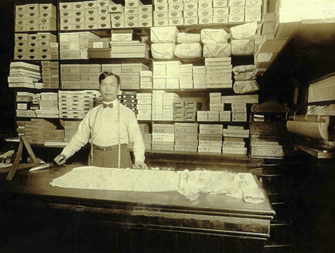 Stan Fong's father and grandfather moved to Calgary, where they both worked at a brickyard. Stan and his brother grew up in the town of Wayne, in Alberta's coal-mining belt, where his parents ran a restaurant, farm and trucking outfit. Ron Lee worked as a youngster with his parents and uncles and aunts in his grandfather's dry-cleaning business in Lethbridge, Alberta. 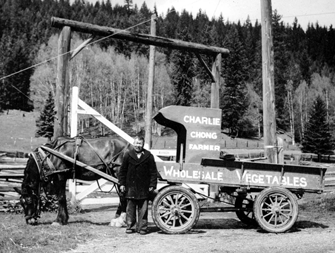 Cindy Leong's great grandfather, Willy Nipp, established a dry goods store with some partners in Cumberland, B.C., after the railway, then started his own operation in Vancouver. David Wong' maternal great grandfather, who worked on the railway, moved across the Prairies before settling near North Battleford, Saskatchewan. Kevan Jangze's father moved to Vancouver after his grandfather passed away and the family lost everything in the Great Depression. Brian Joe's father raised his family in the Okanagan region of British Columbia. Today, both Kevan and Brian, descendants of Chinese merchants in Yale, B.C., sell real estate from the same office throughout the B.C. Lower Mainland.